According to DTE Energy, there are still 17,000 customers without power in metro Detroit due to wind damage over the weekend. Those outages are scattered throughout the metro Detroit area. 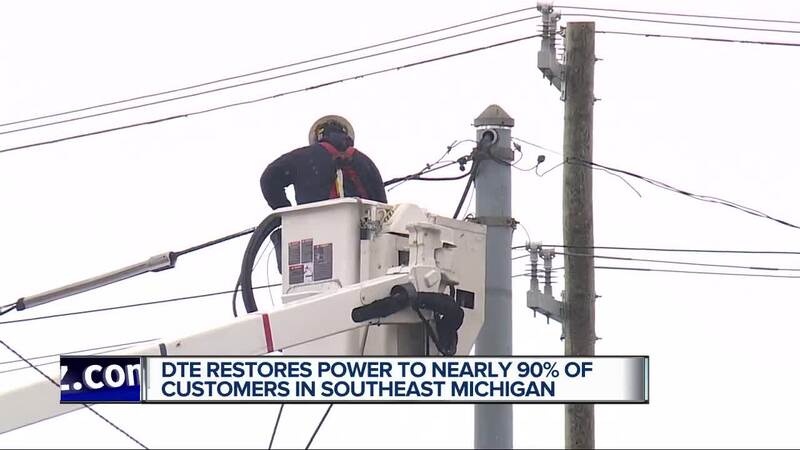 According to DTE, there were more than 160,000 people affected by power outages, but they have restored power to nearly 90 percent of those customers. They expect to have 95 percent of the customers restored by the end of Wednesday. 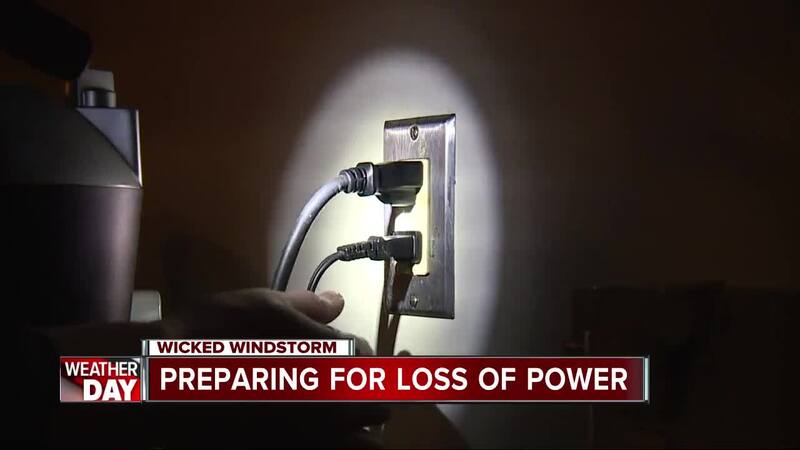 (WXYZ) — According to DTE Energy, there are still 3,000 customers without power in metro Detroit due to wind damage over the weekend. Those outages are scattered throughout the metro Detroit area. According to DTE, there were more than 160,000 people affected by power outages, but they have restored power to nearly 98 percent of those customers. They expect to have the remaining customers restored before midnight Tuesday. More than 1,000 downed lines were reported across metro Detroit due to the high winds, DTE said. The company said on Friday they were preparing for mass outages with wind gusts approaching 50 mph and 60 mph throughout the day. More than 1,000 DTE employees and contractors, including line workers and tree trim professionals, are on standby for restoration. DTE also requested help from 300 out-of-state workers. A team of DTE employees will focus on clearing safety hazards, such as downed power lines, and all crews will work 16-hour shifts around the clock until power gets restored. Safety is always a priority. Customers should stay at least 20 feet away from all power lines and anything they’re in contact with, and consider them live. They are extremely dangerous. Treat every downed power line as if it were energized. Customers should also heed the warning of yellow caution tape, which indicates there is a downed power line in the area. DO NOT CROSS YELLOW CAUTION TAPE. Never use a portable generator inside a home or business. It emits carbon monoxide, which can be deadly. Keep it outside, away from windows and doors, so the fumes won’t come in. Customers can contact DTE when they lose power or see a downed wire. They can call 800-477-4747, visit their website at dteenergy.com or use the DTE Energy Mobile App.